Its a new year, and its time for another iPhone duo to be introduced into the market. After weeks of speculation, Apple has finally unveiled their newest iPhone 6s and iPhone 6s Plus. While the newest iPhones have not changed much physically, Apple has added a few worthy improvements to warrant an upgrade. As we previously mentioned, Apple has retained most of the design aesthetics from last year's iPhone, but have made minor adjustments to the dimensions of their newer devices. 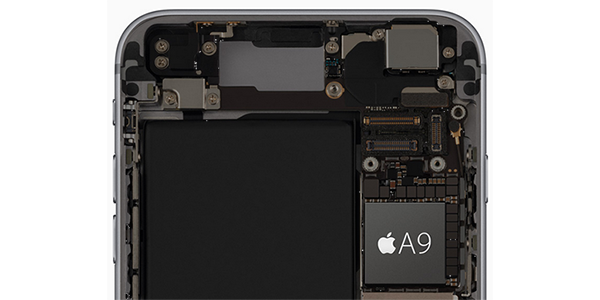 The added thickness ensures that the new iPhone 6s and iPhone 6s Plus are more robust, and less likely to succumb to issues like the “bendgate” scandal that tainted the iPhone 6 when it first launched. Apple’s introduction of a new 7000 Series aluminum casing material will also add to the structural stability of the new hardware. 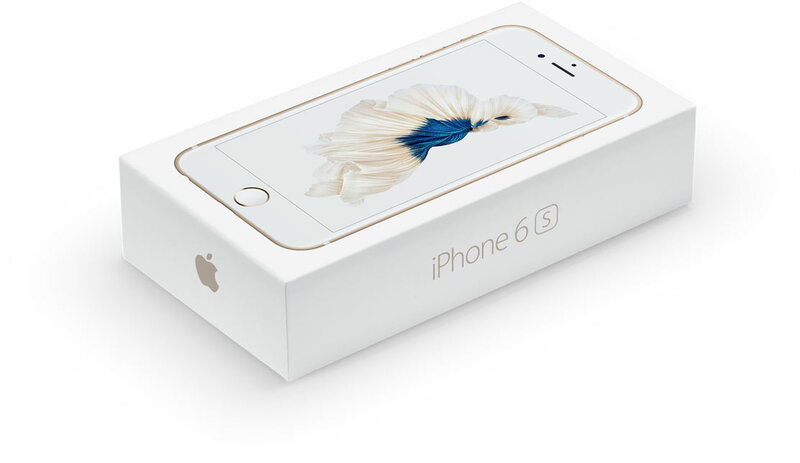 The iPhone 6s features a 4.7-inch display with a 1334 x 750 pixel resolution, while the iPhone 6s Plus features a 5.5-inch display with a 1920 x 1080 pixel resolution. Both displays are protected by ion-strengthened glass and a fingerprint friendly oleophobic coating. This year Apple has improved the displays by adding 3D Touch technology. The name is derived from its three-level touch capability, while allows users to invoke a range of commonly requested shortcuts, as well as provide instant access to specific functionality within first and third-party applications. Apple is calling the new feature, Peek and Pop and it's being complimented with the support of a Taptic Engine to provide feedback when using 3D touch. The new iPhones also signal the debut of the Apple A9 chip, which promises 70% faster performance and a 90% boost in graphics performance over last years chip. The setup also includes an M9 coprocessor, which always remains on to take care of subtle tasks, including the always-on “Hey, Siri” command to interact with your iPhone hands-free. The new iPhones also come with 2GB of onboard RAM, which should ensure smooth fluid performance on your iPhones. 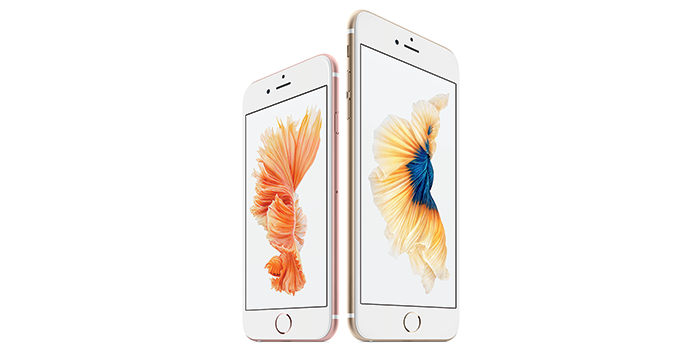 The Apple iPhone 6s is outfitted with a 12-megapixel rear shooter which means 50-percent more pixels than before. Apple has also outfitted the device with a 5 megapixel FaceTime camera, which uses the Retina Display a flash, by increasing it up to 3-times the original brightness when you are capturing selfies. The Apple iPhone 6s Plus offers the same setup but improves on its smaller sibling by including OIS (Optical Image Stabilization), this time both for photos and videos. Both devices support 4K video recording via the rear camera and up to 720p video recording from the front cam. Apple is aware of the popularity of the iPhone camera and hopes the improvements will allow it to remain a top choice for consumers. Besides the improvements in hardware, Apple has also introduced a new way of capturing your memories, called Live Photos. Both new iPhones offer the same battery life as the previous-generation iPhone 6 and iPhone 6 Plus. 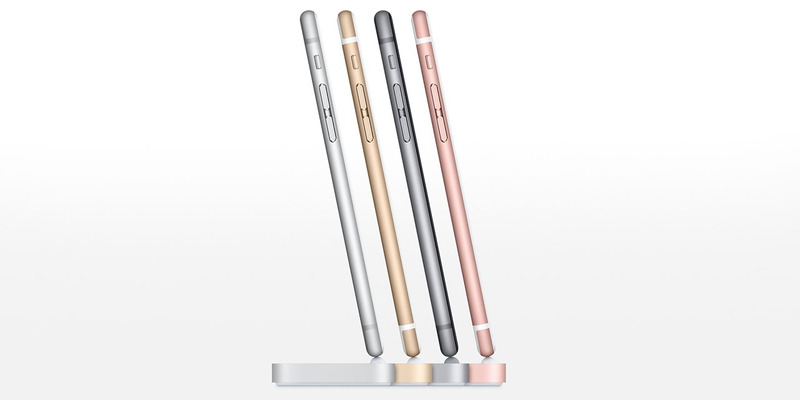 This will allow users to get up to 14 hours talk time on the iPhone 6s and up to 24 hours on the larger iPhone 6s Plus. Apple is claiming that the new LTE chip is twice as fast as before with 23 bands, offering up to 300Mbps over LTE Advanced. Similarly, Wi-Fi has been bumped to over twice the speed of that in the iPhone 6 and 6 Plus, offering support for up to 866Mbps speeds over WiFi. Both new iPhones will ship with iOS 9, which offers improvements to Siri, the way you search and various apps. Most of the improvements are subtle and meant to improve the overall usability and experience with your iPhone. A small yet visually pleasing addition of the new iPhone 6s and iPhone 6s Plus is the inclusion of support for what Apple likes to call “Motion wallpapers”. 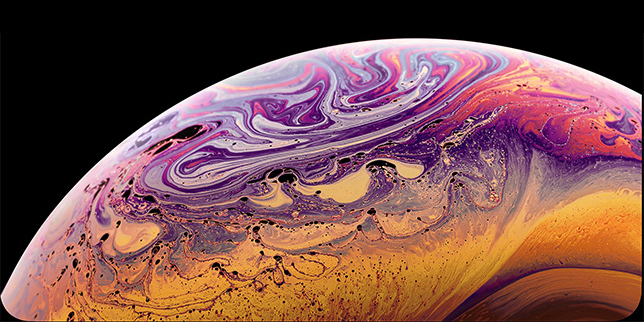 This functionality has been ported across after its success in the Apple Watch and will afford owners with the ability to select from a selection of pre-defined dynamic wallpapers that will not only bring the device to life but will also look stunning on the large Retina display. The Apple iPhone 6s and iPhone 6s Plus will be offered in Space Gray, Silver, Gold, and the new Rose Gold option that borrows inspiration from the Apple Watch. 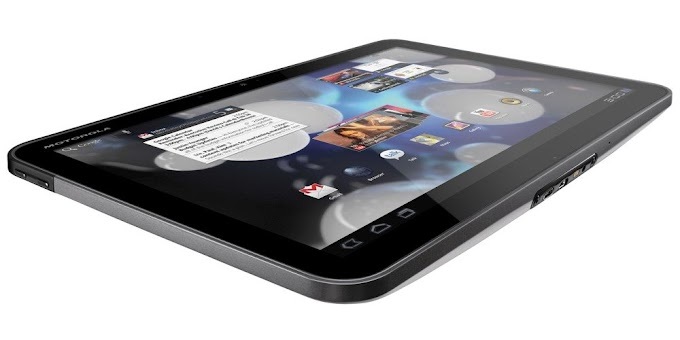 Both devices will be offered in 16GB, 64GB and 128GB storage options. It's disappointing to see Apple stubbornly stick to the 16GB storage option, given the growing size of apps, and hope the company makes 32GB the default base storage on next years model. Pre-orders for the company’s next-generation hardware will begin on September 12 in Australia, Canada, China, France, Germany, Hong Kong, Japan, New Zealand, Puerto Rico, Singapore, the UK, and the US. Public release and shipping will start a week later on September 25. Apple plans on releasing the new iPhones in over 130 countries, with over 400 network carriers as partners by the year-end. 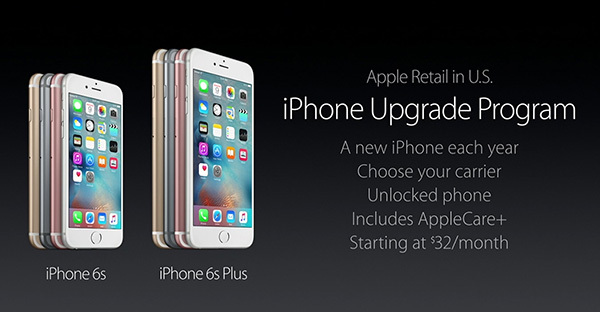 Apple also announced a brand new iPhone Upgrade Program to accompany the iPhone 6s and iPhone 6s Plus. Instead of having to purchase a new iPhone at a steep one-off fee, Apple now allows customers to purchase an iPhone at a monthly fee, which is effectively a two-year loan. In return, you get an unlocked iPhone, which can be used on any network. The program also allows you to have the latest iPhone every year, by swapping in your existing model for a new one every 12 months. The program also includes AppleCare+ protection. Signing up for the program will cost you as low as $32.41/month for the 16GB version, rising to $40.75/month for 128GB if you are purchasing the iPhone 6s. 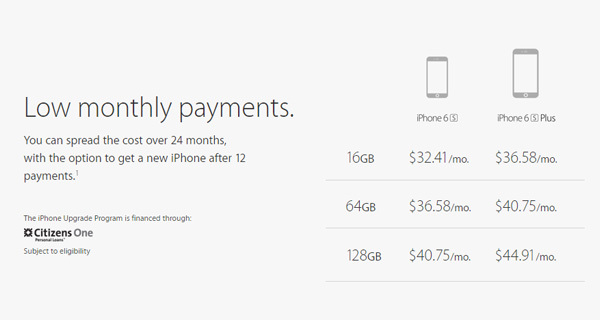 The iPhone 6s Plus will start at $36.58/month and rise up to $44.91 depending on the capacity you choose. To complement the new, slightly thicker iPhone 6s and 6s Plus, Apple has introduced an updated range of premium leather and silicone cases that not only perfectly compliment the visuals of the new iPhone, but also offer a level of protection that a lot of consumers yearn for. Apple has also announced a new dock for the new iPhones, which is available in matching colors for your iPhone selection, and as you guessed it, will be sold separately.